Meet Oscar the shaggy little pony. Oscar is slow and steady and he has come to live at Farmer Ben’s stable. Brother and Sister offer to help care for Oscar in return for riding lessons from Farmer Ben. Before long, Oscar and the cubs are ready to enter the local riding show. 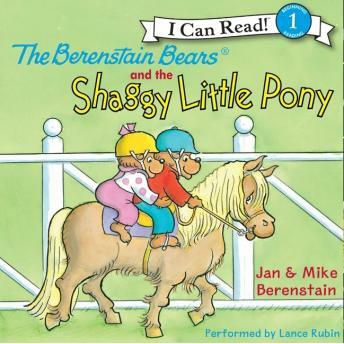 Beginning readers will delight in learning about life on the farm and horseback riding in this new adventure from the Berenstains.